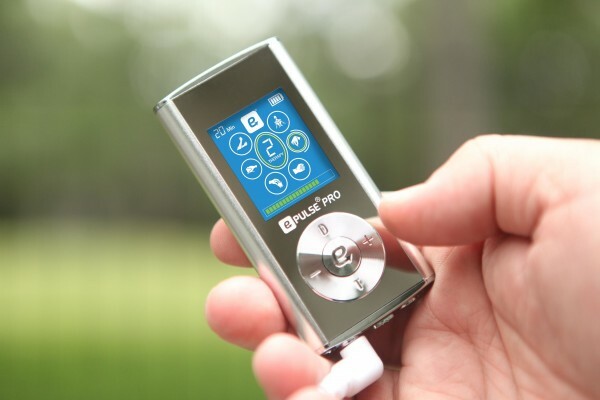 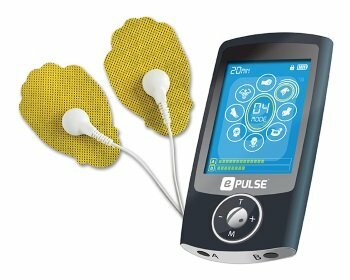 e-Pulse® Pro 610 is a compact Neuro Stimulator device that can be used for pain relief anytime, anywhere. 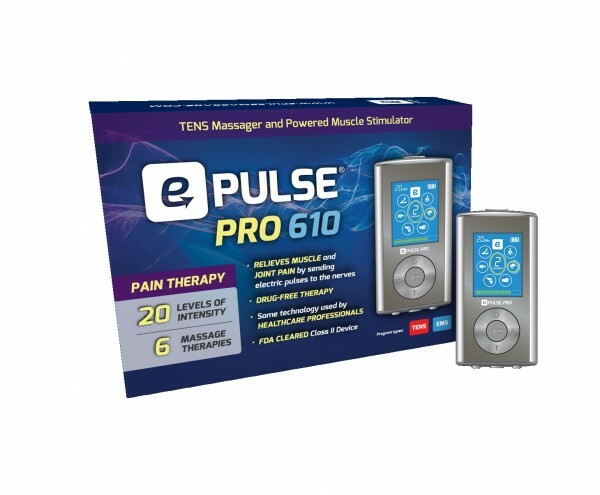 It simulates both TENS (Transcutaneous Electrical Nerve Stimulation) and EMS (Electrical Muscle Stimulation) treatments to stimulate both nerve endings and muscles. 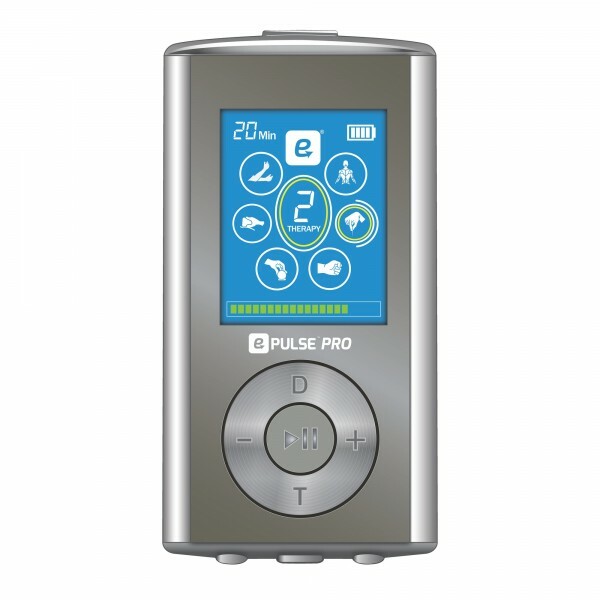 Ideal for relieving pain associated with sore and aching muscles in the shoulder, waist, back, upper, and lower extremities. 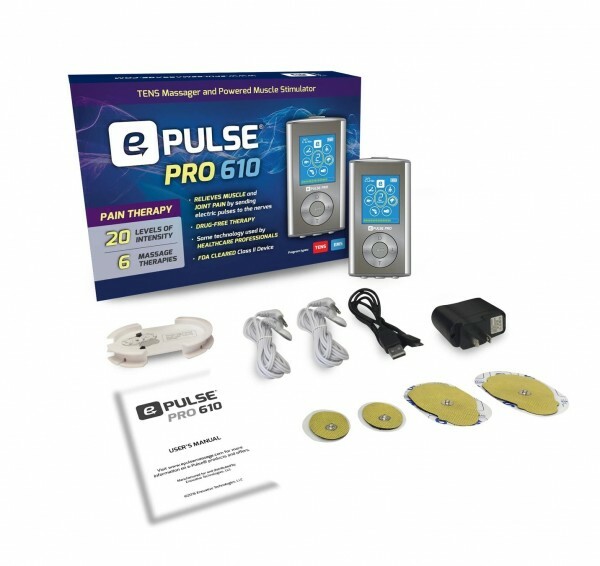 EMS, also known as Myostimulation, provides athletes and body builders the ability to isolate and target specific muscles to actively work the muscle, build muscle mass, and increase blood flow.